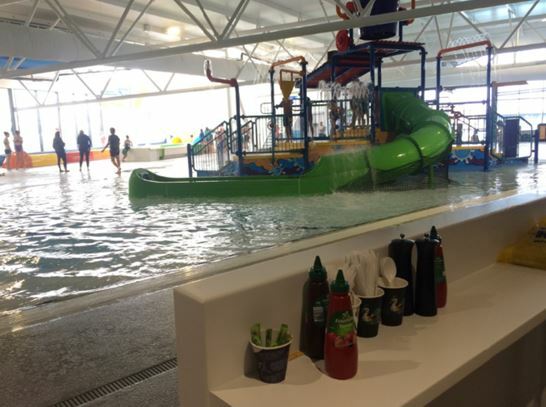 Cockburn Aquatic and Recreation Centre (AKA Cockburn ARC) is the City of Cockburn’s premier recreation centre and opened in May 2017. First thing you will see as you approach Cockburn ARC is the amazing water slides. 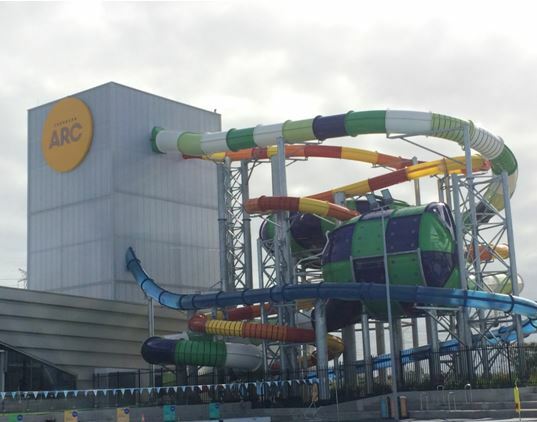 The slides are accessed and exited indoors so you can now enjoy water slide action in Perth ALL YEAR ROUND! The Rocket, The Pipeline and The Tumbler are all perfect for thrill seeker kids 7yrs + (that are also 120cm+). 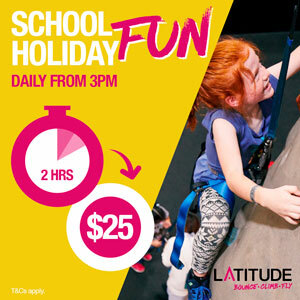 Slides run 4-6pm weekdays (10am - 6pm in the school holidays) and 10am - 4pm weekends. Costs start from $12 for a child swim + water slide session (please note prices subject to change without notice, please check the website (link below) for up to date prices and information). Younger ones don’t miss out on the action. Inside within the shallow pool there is a waterslide playground, with big tipping bucket, water cannons, water sprays and 3 different water slides. Listen out for the bell, not long after the water bucket drops water on those below. Use of the waterslide playground is included in a general swim entry. 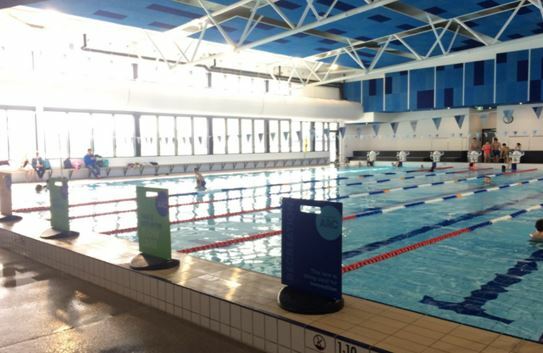 There are a few pools indoors at Cockburn ARC. Alongside the waterslide playground is a shallow leisure pool (heated to 32C), 25m lane pool with leisure swim section (heated to 27C and wheelchair accessible) and warm water pool alongside the spa, sauna and steam room (heated to 34C and only accessible to those over 16yrs – see website (link below) for more information about exceptions for access to children under 16yrs). Outside is a 50 m lane pool. 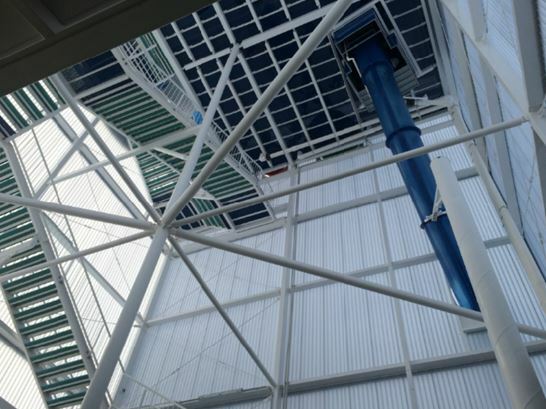 It’s disabled accessible and heated to 27C all year round. Seating and BBQ facilities are available for use alongside the pool. We visited in the middle of winter on a fairly cold day, and while it was a little bit cold out of the pool, once we got swimming and sliding the overall centre temperature was warm enough to be comfortable – which is great for all year round water sliding and swimming. 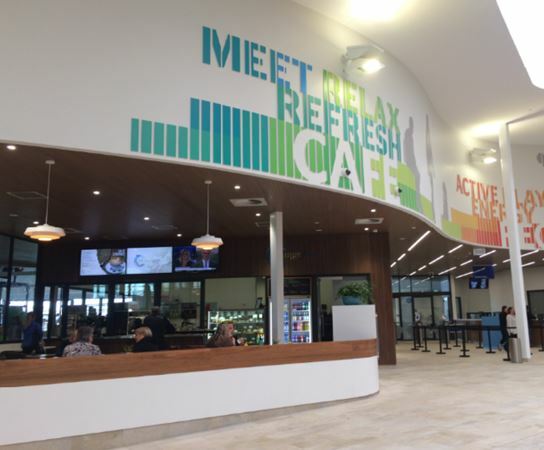 Plunge Café is located within the Cockburn ARC and can be accessed from the main entry (you don’t need to pay for entry to the centre to use the café) and can also be accessed poolside with seating available right alongside the edge of the water slide playground pool. 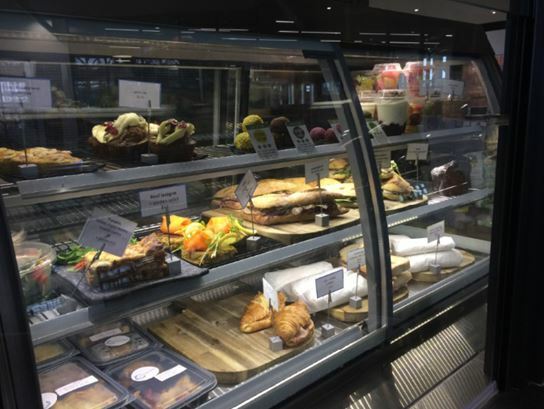 We’ve heard great things about Plunge Café, and although we didn’t dine on this occasion the range of food looked amazing with lots of healthy food options available. Cockburn ARC is not all about waterslides and getting wet, weekends kids 1-8yrs can play at Bandicoots Play Centre on weekends and in the school holidays. See website (link below) for more information about entry prices and session times. Cockburn ARC also offers group fitness classes, kids swimming lessons, gym and team sports. Carnaby’s Club Creche is available daily to mind your children while you use the centre facilities for kids 8 weeks to 5 years, and up to 11 years in the holidays. 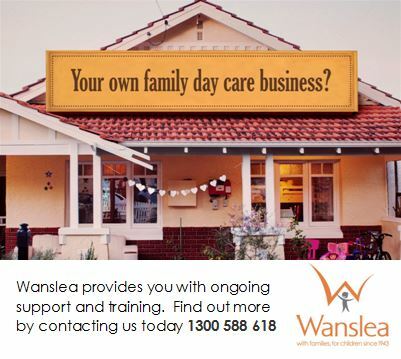 See the website (link below) for crèche open times, costs and for booking instructions. 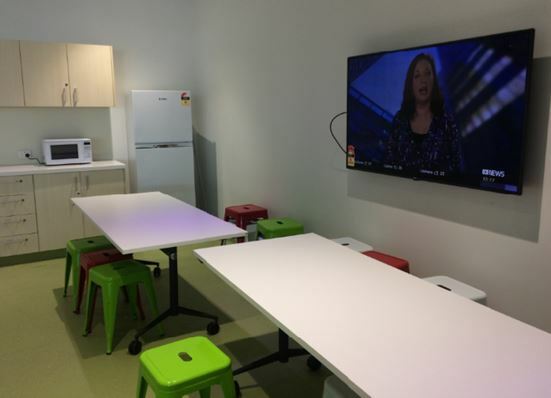 Your birthday party is all sorted at Cockburn ARC too. 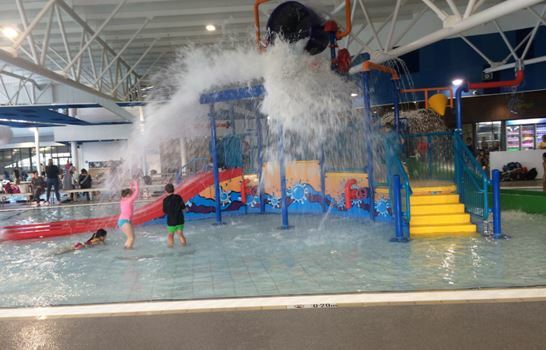 Choose from indoor or splash parties (including a waterslide party option), with catered or self catered party options for kids from 1 right up to adults. Check out the website (link below) for more information about birthday party packages and bookings. 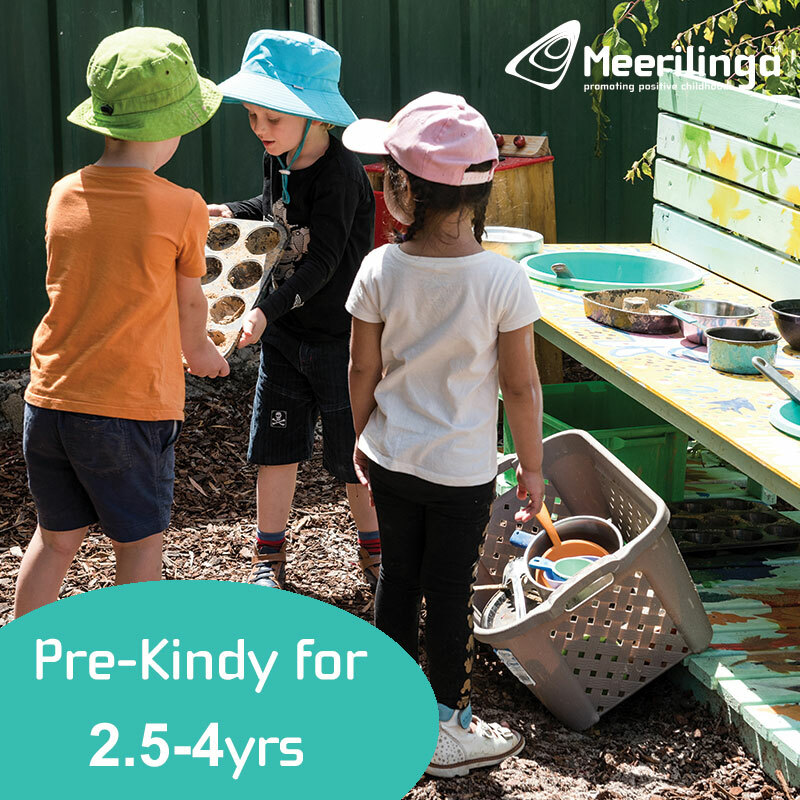 During the week, the centre offers the PlayActive program for littles 6 months to 3 years. PlayActive is all play being an important part of growth and learning. Classes use music and movement to develop the body and brain, through structured and unstructured exercise. 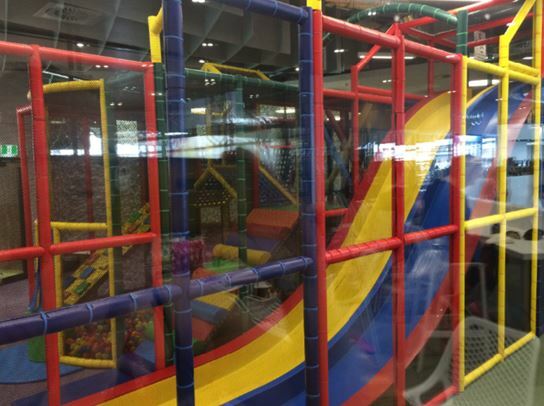 It’s tons of fun for parent and kids, and ends up with a session in the Bandicoots play centre. Find out more and how to enrol on the website (https://www.cockburnarc.com.au/Play/Play-Active). 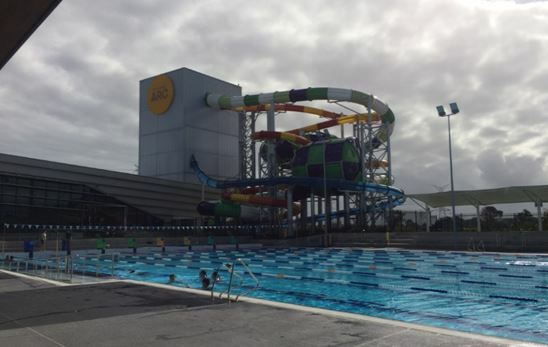 There is lots on offer at this amazing aquatic and recreation facility, you’ll need to visit the website (link below) to read all about it and to keep up to date on what’s new at Cockburn ARC. 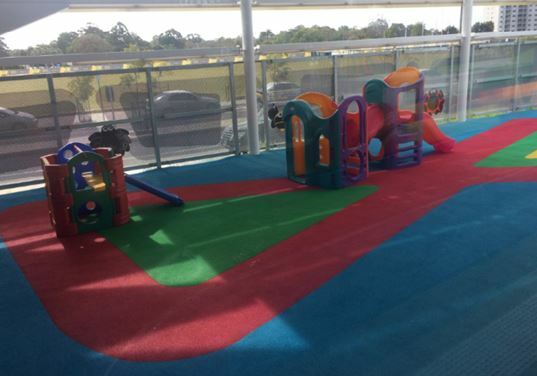 We highly recommend you get your family to Cockburn ARC, any time of year, it’s an affordable fun day out with options for wet and dry play and activity. Let’s face it though you really can’t beat a family waterslide day out for fun so get to Cockburn ARC and check it out soon.